Opportunities - ALBANY THERAPEUTIC RIDING CENTER, INC. Lesson volunteers help to ensure the safety of our students at all times. They serve as side walkers, horse leaders, and may help to prepare the horse or the equipment prior to, or following, the lesson. Full training is provided, we offer manfatory volunteer trainings at least once a month prior to volunteering in a lesson. Lesson volunteers must be at least 14 years old. Please note that lesson volunteers do not actually ride the horses themselves. We need at least 3 volunteers at each lesson, so we appreciate those who are able to make a commitment to a specific day and time. Lessons are generally held all day Saturdays and Sundays as well as Monday- Wednesday afternoons/ evenings, weather permitting. Feeding, watering, raking, mucking stalls, replacing light bulbs, painting, carpentry and other tasks are all part of running a farm facility. Over the years, we have had a very dedicated corps of volunteers performing a range of duties. A 4-H group for example helped to feed, water, and muck stalls. Individuals who were handy helped to perform light repairs. If you would like to help out on the farm in a capacity other than working directly with students, we welcome your help and will provide any necessary training and instruction. If you have a special skill, let us know. We would be pleased to find a role for you! Groups are welcome! As a small not-for-profit organization, we do not have the funds to launch a large advertising campaign to spread the word of our work. It is important that people know about us to access our services, to volunteer, and to support our work through donations. We appreciate volunteers who can serve as writers, graphic designers, social media connectors, website designers, community spokespeople/information distributors, and other roles. Additionally, we have periodic administrative work such as envelope stuffing, flyer posting, and photocopying. Whether you can spare a few hours one-time or seek to become more involved on a regular basis, please know your efforts are appreciated. We especially welcome retired persons and students seeking to build their professional resumes with volunteer internships/projects. 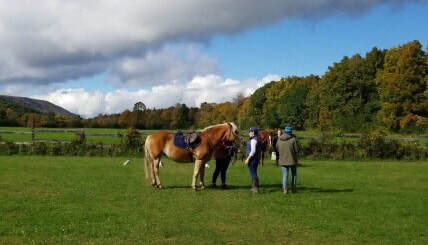 Our board members have one thing in common: the desire for Albany Therapeutic Riding Center to succeed. There are no special skills required other than a desire to advance the work of ATRC. We seek volunteer board members from all industries, backgrounds, and skill sets to work together to help us achieve our goals for fundraising, volunteer recruitment, event planning, business administration, public relations, and other tasks. Our board members span a range of ages and are both retired and currently in the workplace. We meet quarterly and keep in touch via email, mail, and phone in between meetings as necessary to work on projects or to discuss important items that might pop up. You can be as active as your schedule permits. We welcome new ideas and energy and hope that you will join us. Meetings are generally held at the Voorheesville Public Library, but location may vary. 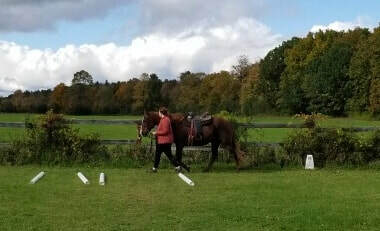 Contact ATRC at 518-765-2764 or albanytherapeuticridingcenter@gmail.com for more information.